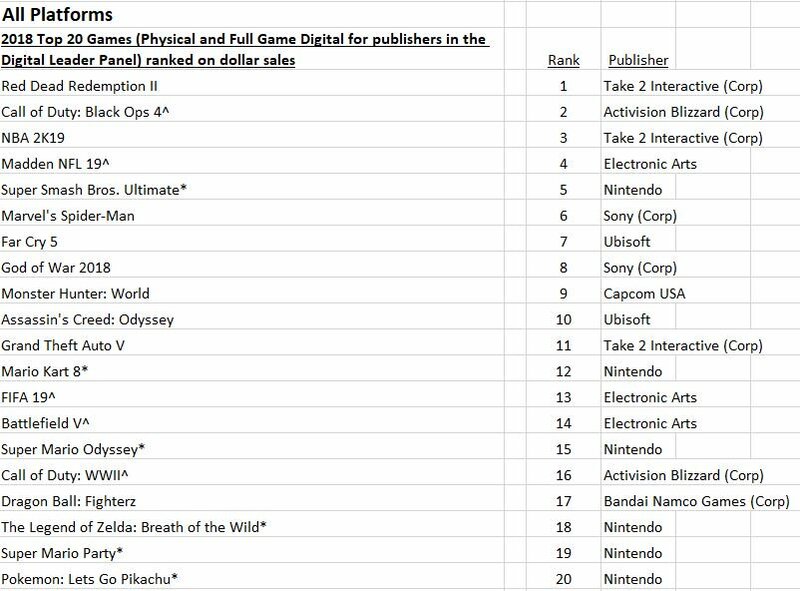 These companies will still be around for the next couple of years, success of games or failures would just be business as usual for them (case in point the many games released during the PS360 era that were ignored by a lot of consumers because they're sheep that are too scared to formulate their own opinion on whether a game is worth their time and money and just go with what's popular so they don't feel left out by gaming communities). The obsession with more each year is something that has bugged me for a long time. The idea that you can make $2 billion in profit one year, then 2.3 the next year and be called a failure just because a small group of people felt like it wasn't enough makes no logical sense. The vast majority of the stock market should not work in a logical world and yet it somehow runs everything. (case in point the many games released during the PS360 era that were ignored by a lot of consumers because they're sheep that are too scared to formulate their own opinion on whether a game is worth their time and money and just go with what's popular so they don't feel left out by gaming communities). This is an exclusive PS3 platformer title about a young boy who was turned into a puppet & needs to recover his head to turn back to normal. Using a pair of magical golden scissors named Calibrus, you travel in this theater-esque world to recover your head & escape the Moon Bear King's clutches. The thing about it is that due to unfortunate timing, it was released alongside Grand Theft Auto 5, Rockstar Games' best selling game. Puppeteer is a fantastic game, & I highly recommend it despite being overshadowed by a vastly popular game. 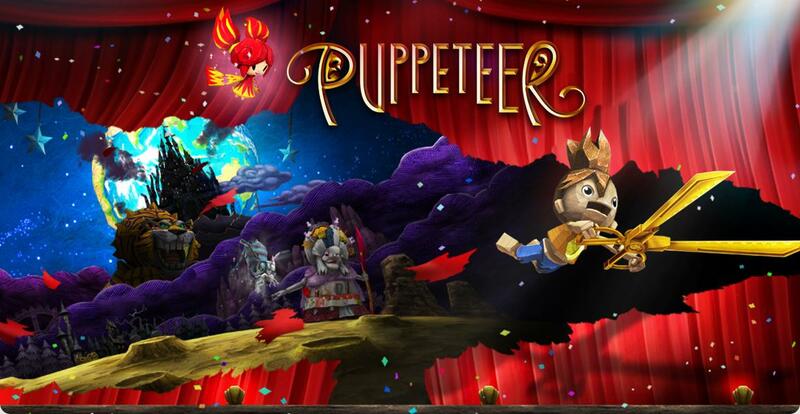 Puppeteer has its flaws but it is a nice experience IMO. Will be willing to re experience it again via RPCS3 in the future. I'm totally ready to hop in line to lambast capitalism, especially the rampant corporate capitalism and Protestant-ethic inspired capitalism that we're prey to in the West. Mass Effect: Andromeda - A gigantic critical and commercial failure, largely self-inflicted by having a B-tier team work on one of their prize IPs. Star Wars Battlefront II - Another gigantic critical and commercial failure, spearheaded at least partially by a massively poor handling of its microtransactions and PR. Need for Speed Payback - Another critical dud, and as far as I know, a commercial one as well. FIFA 18 - A yearly sports title, received generally well critically and commercially, but faced some backlash over its MTX, and eventually spurred on an investigation by Belgium into the game's implementation possibly being gambling that needs regulation. NHL 18 - Another yearly sports title, relatively well received critically and commercially. NBA Live 18 - Another yearly sports title, received okay critically, but commercially was given a wedgie and had its lunch eaten by NBA 2K. Madden NFL 18 - Another yearly sports title, as far as I know, received critically and commercially well. NHL 19 - Another yearly sports title, as far as I know, received critically and commercially well. Madden NFL 19 - Another yearly sports title, as far as I know, received critically and commercially well. NBA Live 19 - Another yearly sports title, again had its lunch eaten by NBA 2K. EA Sports UFC 3 - Another yearly sports title, had solid reviews, but from what I remember also had some extra backlash over the MTX implementation. Battlefield 5 - A critical success, but a GaaS failure so far. This one is particularly funny because Jim says EA is upset they "only sold 7 million." They're upset because BF5 has only sold half of what BF1 sold in a similar timeframe (15 million). There were some other little titles here and there like Unravel 2, Fe, A Way Out, and Sims 4 DLC, but those aren't really relevant to the AAA discussion. And overall, only three in the Top 20, two of which are sports titles. And remember, those sports titles are now under threat around Western Europe as more companies conduct investigations into whether or not they need to regulate the lootbox/MTX stuff. Now they've basically spent two years without any significant breakout, zeitgeist leading titles, while their usually reliably revenue earners may see reduced revenue soon (not in the USA likely, but elsewhere at least). Meanwhile, games like League, Dota, Fortnite and dozens of mobile titles are all chugging along the zeitgeist train, leading the way. It may be "wrong," but it's also not hard for me to look at EA's output for the past two years and see why investors might have gotten antsy. Apex Legends is probably the biggest, most relevant game they've had in a long time. I feel like Activision Blizzard is a similar example. Yes, they're still making a batrillionmajillion dollars, but they're also producing a lot of duds and wasting time on failed projects. Millions of dollars and man-hours were wasted on Titan. Thankfully some of that work got rescued and made into Overwatch, but OW and the OWL are not really leading the way in the GaaS/esport market. HotS is being abandoned. WoW seems to be bleeding subscribers again after a dud expansion. Diablo 4 was in the works for two years, but also (like Titan) saw itself scrapped, and the whole project rebooted. Bungie split with Activision, rendering all of the support studios working on Destiny 2 redundant. Across those products alone, to say nothing of the more "Activision" side studio issues, there is an incredible amount of waste and inefficiency going on. This kind of discussion has happened every time for the past few years that Apple's earnings or shipment numbers come out, and then the stock drops. On the one hand, yeah, I get that it's pretty greedy and stupid that a company making football fields of cash can be seen as a risky investment. On the other hand, I look at their overpriced, non-innovative lineup and look at what their competitors are doing to slowly grab pieces of market share, and it's hard not to see why some people might be antsy. I'm just rambling at this point, so I'm going to stop. There are a number of things that countries could try to do to fight the boom-bust cycle of corporate entities, but ironically, most people complaining about the issue (Jim included) probably wouldn't want to try some of them. probably wouldn't want to try some of them. Just to elaborate, I think there are some interesting economic aides you could try like a UBI/BIG/NIT/CBI plan. Or higher corporate taxes with incentives for investment into infrastructure like we saw in the post-WW2 era. Lots of similar stuff. What I was referring to though was how I think one of the most interesting things for creative/tech/corporate industries would be to completely change the way IP protection works. And by completely change, I mean weaken it and grind it into the dirt. But like I said, I doubt most "creatives" even those like Jim whining on about capitalism would ever acquiesce to an erosion of their grip on their creations. yay, Jim's first explicitly anti-cap video. Still don't like his style but I won't complain if he radicalizes at least some of his gazillion subscribers. Just think about how many jobs could have been funded or saved if the executives weren't making million dollar bonuses! And...to be honest, I don't actually get what people are not understanding. It feels like people are willfully misinterpreting the situation. Profits for an entire corporation ≠ profits for every division of a corporation. Say you run a company, and your company has 10 departments covering everything from aspects like R&D, marketing, customer support and warehouse/stock management. 9 of those divisions reported record profits, but the 1 other division is heavily in the red, and is projected to be a huge risk factor and money sinkhole going forward. Wouldn't you expect that the company reinvest in the 9 divisions that are profitable, and also either cut or restructure the outlier department that's returning a negative ROI? No general national mandating of appropriate severance packages for employees can leave many in a rough situation very quickly after their layoff. No real protections for workers requiring advance notice of their impending layoff, again leaving workers in a rough situation very quickly. Little to no responsibility held over those at the top of the hierarchy who have all kind of golden parachute type deals even if they should get canned or miss targets. The absurdly expensive private healthcare system means that no job is almost certainly a gateway to no healthcare coverage for you anymore. Similarly, absurdly expensive healthcare is one of a few things driving up the cost of employment (making the million dollar executive equals X jobs math very inaccurate). A corporatized capitalistic system that doesn't emphasize or encourage enough innovation and investment into human capital. There are a lot of things that you could do here. Mandating better worker protections like advance notices and severance packages; fixing our broken healthcare system; some kind of UBI/BIG/NIT/CBI plan that guarantees all people a basic level of income, so that even if fired they won't descend into debt and poverty; a higher corporate tax rate with deductions for companies that reinvest into their human capital and innovation pipelines; or like I suggested yesterday, destroying modern IP laws. Jobs getting cut because they're not profitable or worthwhile is part of any market system, and those are all (imo) great, interesting ideas to deal with that cycle. It seems like a reductive take since the earnings PR seemed to indicate they're cutting non-development staff in favor of reallocating resources to increasing the development staff working on games like CoD and OW. In 2019, the company will increase development investment in its biggest franchises, enabling teams to accelerate the pace and quality of content for their communities and supporting a number of new product initiatives. The number of developers working on Call of Duty, CandyCrush, Overwatch, Warcraft®, Hearthstone and Diablo® in aggregate will increase approximately 20% over the course of 2019.The company will fund this greater investment by de-prioritizing initiatives that are not meeting expectations and reducing certain non-development and administrative-related costs across the business. EDIT: I feel like that tweet is also reductive because increasing dividends and laying off non-R&D employees is (from what little I know about corporate finances) often a sign of a company on shaky footing. It keeps the shareholders happy in the interim, possibly increasing value even, but signals a company running out of land in their corporate landscape. Which if you take those ideas and apply them to Acti-Blizz, seem like a pretty apt descriptor of where they are right now. They have had a ballooning bureaucracy for years, with nearly 10k employees or something insane which has resulted in inefficient development pipelines, botched and rebooted development cycles, and a lack of sustained hits. Next up is for them to fully dive into that whole Steve Jobs video of, "product people get replaced by sales people" stage. At the risk of getting hate for this, I don't think it is wrong to lay off people for whom you have no work even if you are super profitable. I don’t think you’re wrong (evident by my postings here). I think we live in a time where layoffs for lack of human efficiency are going to become even more common with the rise in AI/automation. So the most sensible thing to do now is to prepare for that.